As a reference to our present work we would like to add that till the present time (19 years) we have successfully finished 3 new buildings. A rigged Luxury Cruising Ketch made of steel. Her blue hull enhances her elegant appearance. The interior is framed in varnished mahogany with crème painted panels. 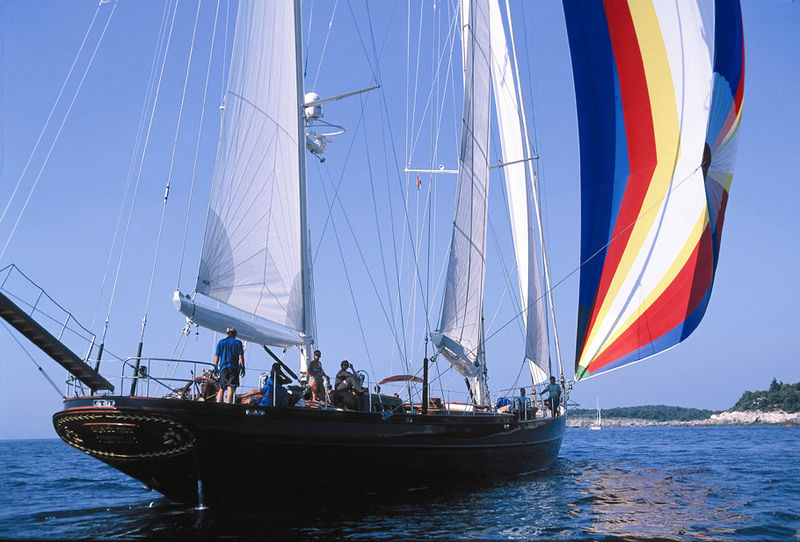 Although she was built as a cruising yacht, her sailing performance is remarkable. 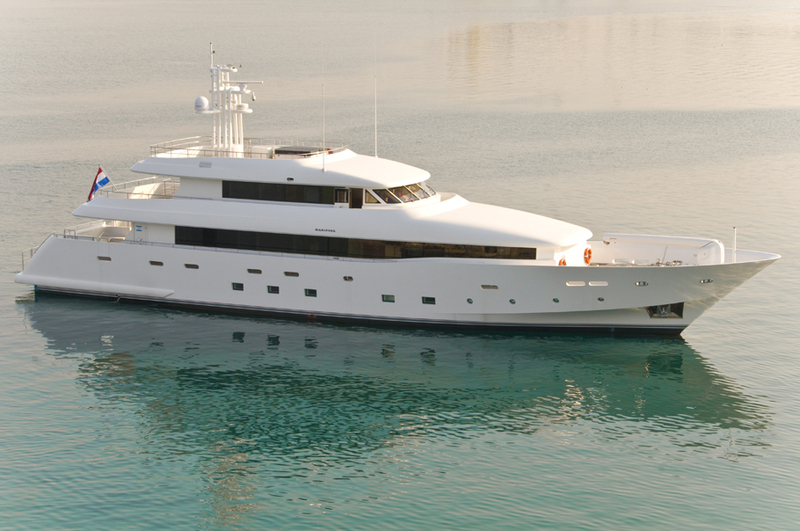 This 50m revolutionary design combines modern styling with extraordinary features for this size of vessel. 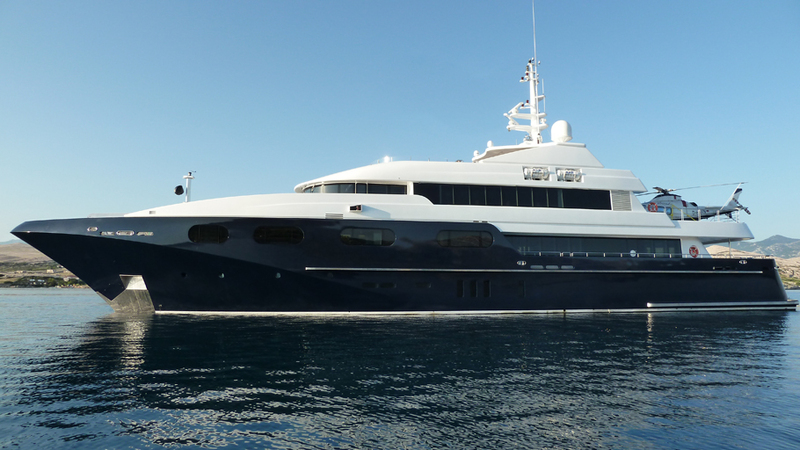 Attractions: 12m speed tender in lazarette, helideck with heligarage on fly bridge deck.